Twitter reported earnings of $US0.21 a share on revenue of $US758.1 million. Follow Twitter’s share price in real time here. Twitter’s share price was up more than 10% in premarket trading as investors took courage from the firm’s 29% year-on-year revenue rise. But it’s a mixed picture. Wall Street will also be looking at Twitter’s steep declines in user numbers. Twitter’s drop in monthly active users was even more pronounced compared with the second quarter, when it had 335 million users. 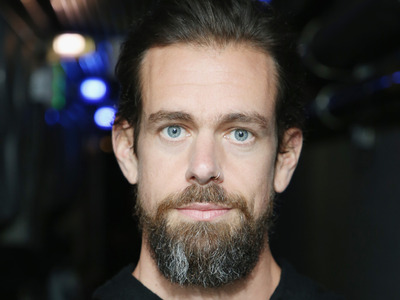 Twitter blamed the fall on European’s new privacy regulation, the company’s efforts to stamp out toxic conversations involving misogyny and racism, decisions not to move to paid carrier relationships in some markets, and tweaks to the platform meant to reduce automated use. It also blamed a “technical issue” that reduced how many notifications people received. Twitter said it had seen a 20% reduction from the previous quarter in “successful sign-ups” from automated, spammy, or malicious accounts. The company doesn’t disclose daily active users but says this is a more important metric than monthly active users. Daily active users grew 9% over the quarter, which the company said was slower than expected because of its efforts to combat spam. “We’re achieving meaningful progress in our efforts to make Twitter a healthier and valuable everyday service,” Twitter CEO Jack Dorsey said in a statement. “We’re doing a better job detecting and removing spammy and suspicious accounts at sign-up. We’re also continuing to introduce improvements that make it easier for people to follow events, topics, and interests on Twitter, like adding support for US TV shows in our new event infrastructure.